For some dumb reason, these parents can't make a play kitchen for their son without the Internet claiming they're turning their child gay. The Internet can be an absurdly bigoted and obnoxiously self-righteous place sometimes. If you post even the most innocuous thing online, you're guaranteed to be subjected to a deluge of people giving you their unwanted and mostly inflammatory opinions on whatever you shared. 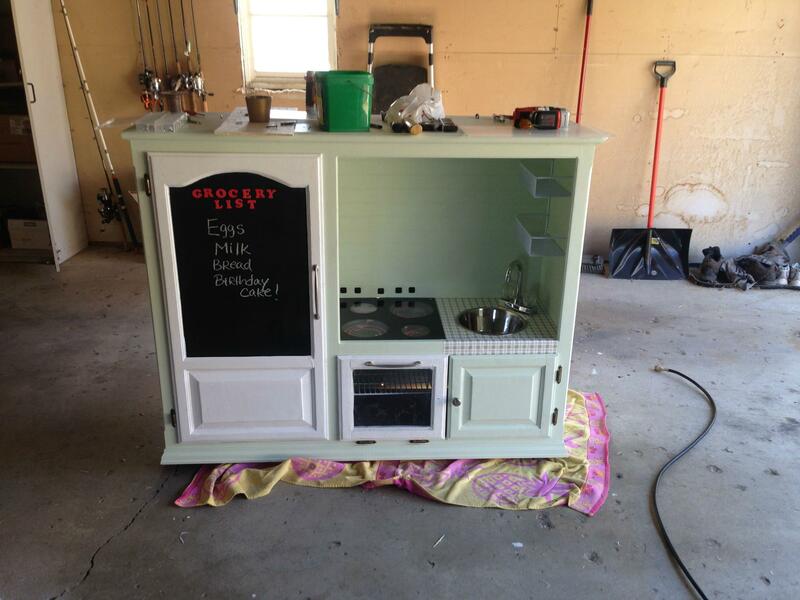 Reddit user sixstringhook wasn't looking to make a big fuss when uploading this picture of a play kitchen. But it did cause a big fuss. A really big and insanely offensive fuss. After sixstringhook shared the picture series, showing the process of building the piece, commentators left messages on the post saying the play kitchen set was the wrong thing for a son to play with. How to turn your son gay 101. You are what is wrong with your country… I hope your kid gets beat up at school. Sixstringhook fought back, and the user's response to trolls, posted to Reddit, was perfect. Well, going off of comments I have received both online, and in person regarding my wife and I's decision to make our SON a kitchen playset and several 'daughter' comments and 'but he is a boy,' let me be perfectly blunt. F*ck you. Any time we go to our local science center, or to the children's museum, he always wants to play in the kitchen playset area. He always wants to watch us cook and likes being involved, so we thought this would be a good idea. Furthermore, if my kid wanted a barbie doll i would get it for him. If that is what he wants, then that is what he wants. Its his decision what he wants to play with. Not mine. As far as my comment on if he wants to play with a barbie doll...again, let me stress this. HE IS 2. I have seen him get excited and play with a broom. Ya'll need to chill. Kids are going to play with what they want, and if you try to prevent them from doing something as harmless as playing with the toy they want to play with, they are going to end up resenting you. In the post, the parent mentioned most of the negative comments people left were taken down, but some do still remain up. I know it's not a functional kitchen, but you just got baked a heaping pile of STFU, trolls.